Friendly and good stuff. Nice food (for every kind of people: "vegan", kids, who like meat / fish. Markets are close the hotel. To the beach 5 min by walk. 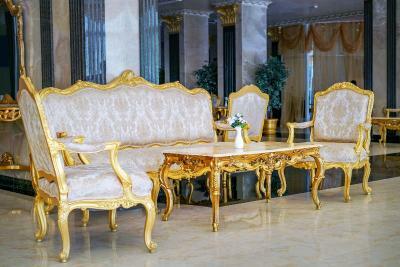 Cleanliness, chic, clean and very confortable room, the staff is very friendly. The food was excellent, diversified, and for all tastes. 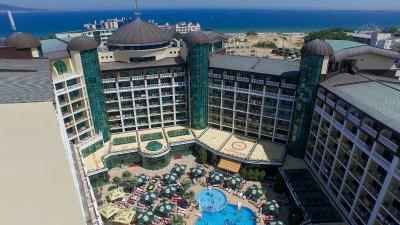 If I go again in Sunny beach I would go to the same hotel. I recommend with pleasure. Rooms and beds very good, stuff friendly, location supper! Food various, taste not all fine. Noisy outside till 12 PM. The junior suite we got was really big, the kids got their own room, with their own private bathroom. Serghey from reception was very friendly and helped us obtain a parking lot. 🔝🔝🔝 Gabi and the rest of the animation team were very talented and did such a great job. Their dancing moves are amazing! 🔝🔝🔝 The food was very good! Bravo to the Chef and the rest of kitchen team. The roasted pork and shark were so tasty. Lots of salads and vegetables. 😊 Every day we received water and sweets in the room. Even a champagne in our last night. 😊 I really don’t get the bad reviews. If I had to review some of the guests, I would certainly give some low score, as I am ashamed of how some of my people behave. Rooms were comfortable and big. See below when we complained we were offered move no problems as there season was finished there pity they dropped standards. Management were very reasonable with this issue. The rooms were nice and quite large. Reasonably clean. Pools were nice. Always able to get sunbeds. the rooms were good. 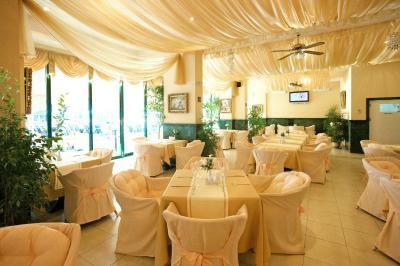 the staff was nice, helpful and kind, the drinks were good. 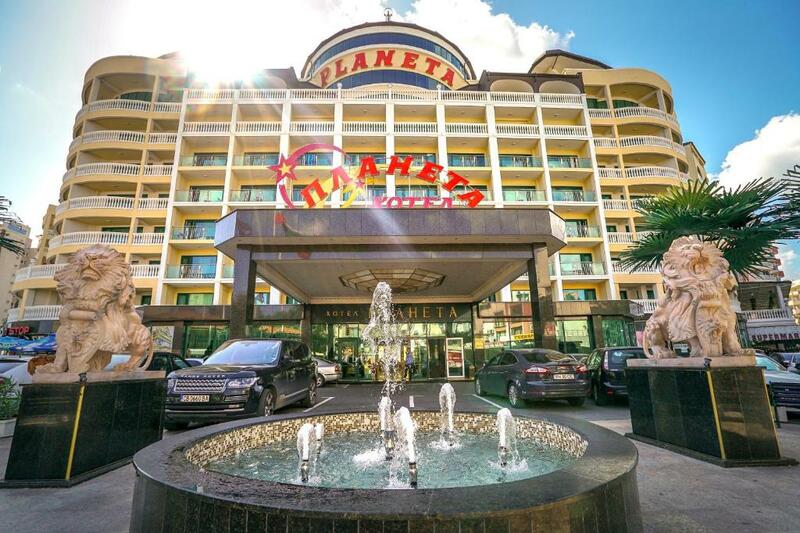 Planeta Hotel & Aquapark - All Inclusive This rating is a reflection of how the property compares to the industry standard when it comes to price, facilities and services available. It's based on a self-evaluation by the property. Use this rating to help choose your stay! One of our top picks in Sunny Beach.Located only 250 feet from the beach in the center of Sunny Beach, the luxurious, first-class Planeta Hotel & Aquapark - All Inclusive offers a swimming pool surrounded by a garden. The swimming pool has 2 sections for children and the main part is 5.9 feet deep. During the whole day guests can enjoy sunbathing at the pool, while at night it is attractively illuminated and a great spot for casual meetings. 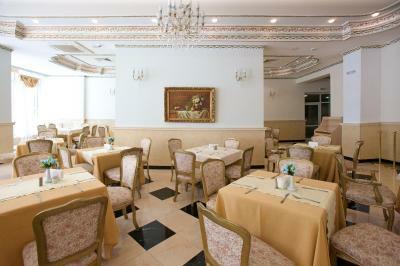 Excellent cuisine is served at the restaurant which seats up to 850 people. 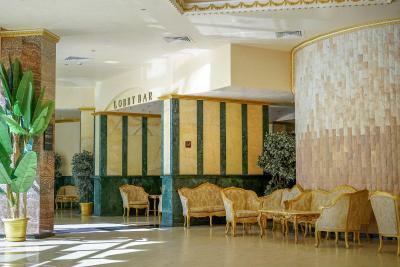 Along the pool there is a snack bar for up to 100 people, and the lobby bar is a relaxing place to meet in the evenings. 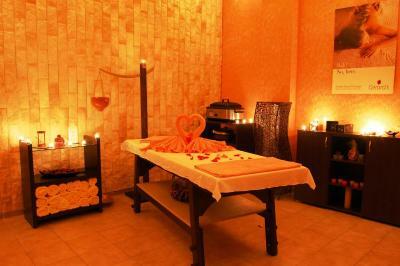 The Planeta offers a spa center and a gym. The animation hall next to the pool provides fun for everyone, starting with water aerobics to karaoke and dancing lessons led by the animation team. 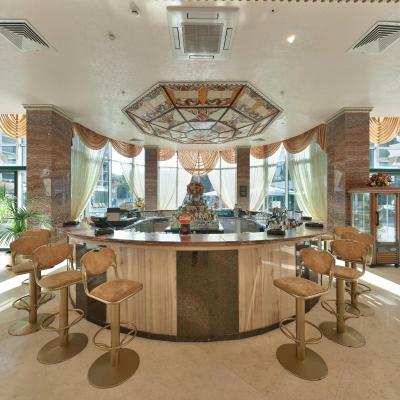 There is also a bar with alcoholic and nonalcoholic drinks and a stage for those who love to perform. 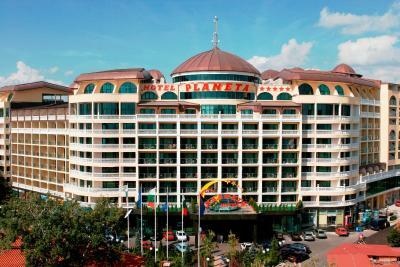 When would you like to stay at Planeta Hotel & Aquapark - All Inclusive? 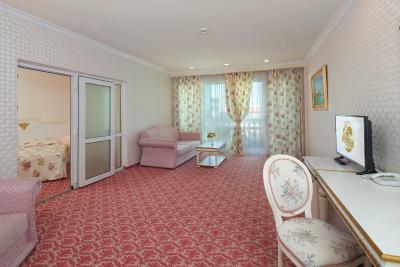 This double room features a balcony, cable TV and seating area. 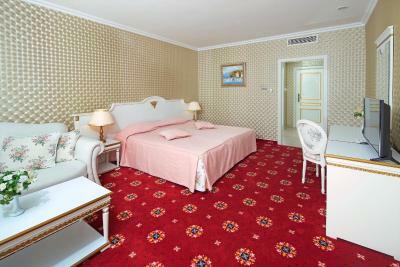 The room rate is based on 2 adults and 1 child up to 11.99 years old. A safe is available free of charge. 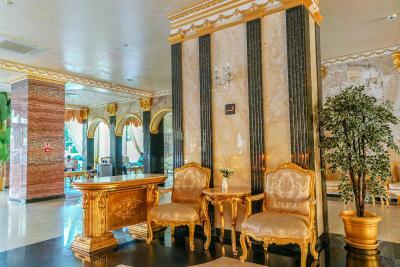 Private parking is available on site (reservation is not possible) and costs BGN 12 per day. A safe is available free of charge. There are two interconnected rooms. Most of these rooms have a pool view. A safe is available free of charge. Most rooms have pool views. A safe is available free of charge. 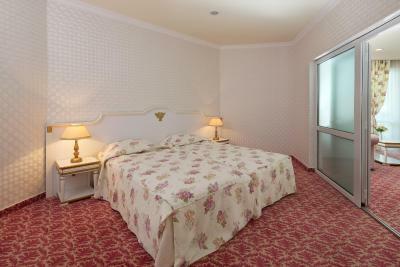 This double room features a balcony, cable TV and seating area. A safe is available free of charge. 2 interconnected rooms. A safe is available free of charge. 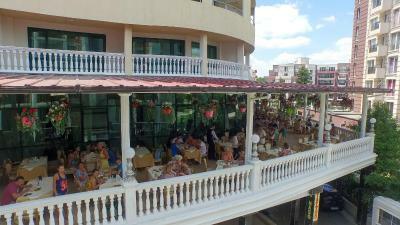 House Rules Planeta Hotel & Aquapark - All Inclusive takes special requests – add in the next step! Planeta Hotel &amp; Aquapark - All Inclusive accepts these cards and reserves the right to temporarily hold an amount prior to arrival. Planeta Hotel & Aquapark - All Inclusive accepts these cards and reserves the right to temporarily hold an amount prior to arrival. Hotel meets 4 stars not 5. For a 5 star hotel: Food and Beverage Quality - Very Poor quality of food and drinks; There was no robe, no ear sticks, no phone in bathroom, no minibar, no keep quiet signs for housekeeping. There was a strong smell of public toilet in the lobby and the lift was horrible, I felt like being in Final Destination movie. As a suggestion, I would recommend a higher price to avoid unpleasant and impolite tourists that make a lot of mess, especially on serving food, because a lot of food is wasted. 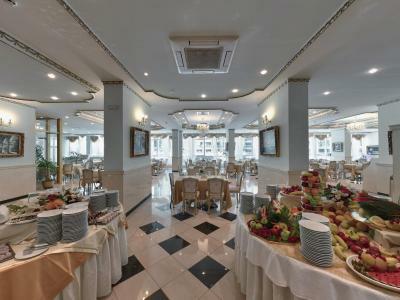 Big Room; Big Bathroom; Good and polite Staff, always smiling; Safe parking; Massage and Spa facilities; Good conference center; Location. The wi-fi signal wasn’t so good sometimes. The music from the sky bar was a bit too loud at 11 p.m, and we stayed on the 8th floor. The food must improve , especially the meat products. Also fresh coffee will be a plus, and not the instant coffee. Big rooms, cleaning made every day. 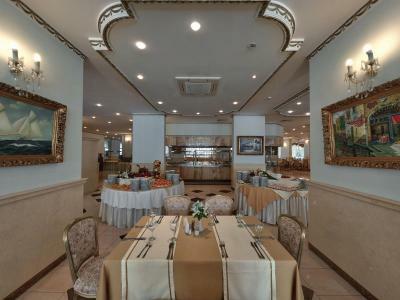 Food is not good, and the coffee is awful, can have a good coffee only in lobby bar which does not meet 5star expectations. Food its not so good, those pizza that they give you to eat they just warm and give give to to you 3- times daily. And in general the food its not with delilicius , they just made and spent and not doing nothings. Clean,rooms nice , and cheap. The restaurant was too full during lunch and dinner time. 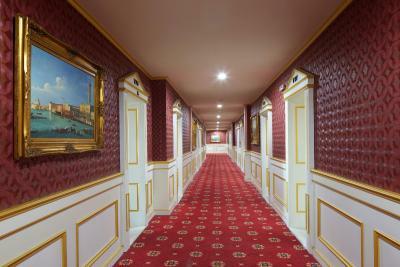 The rooms are great, very big and comfortable.